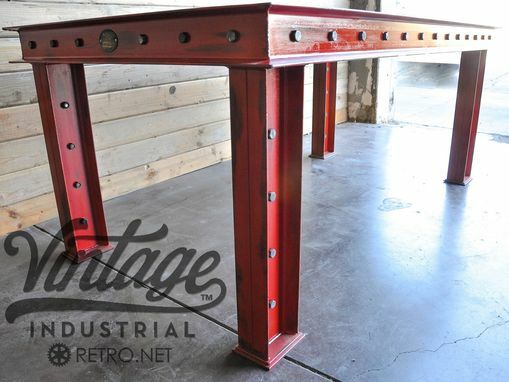 This design uses structural beams and bolts as the basis and was inspired by some of New York Cities many bridges. 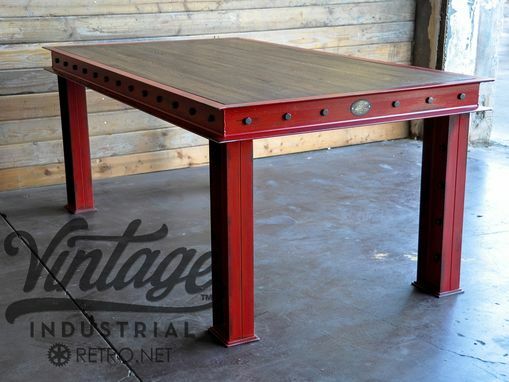 Can be built any size and customized, price reflects "as pictured." 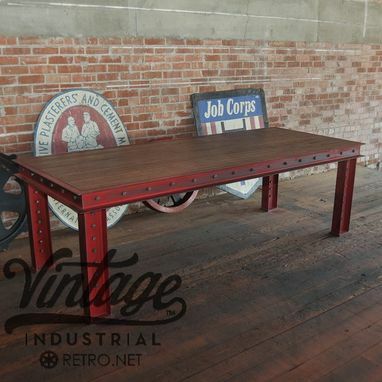 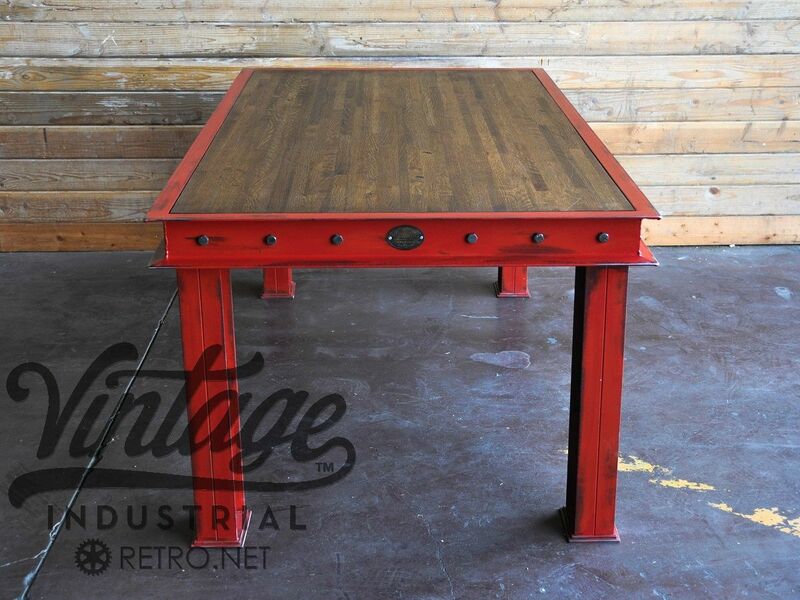 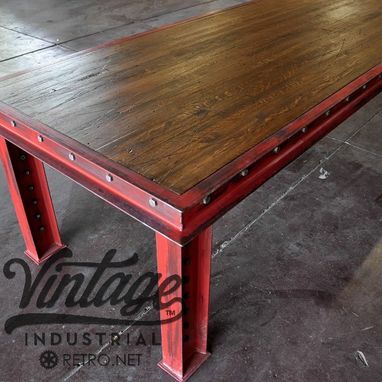 Shown with an aged red finish, and a reclaimed boxcar oak top.